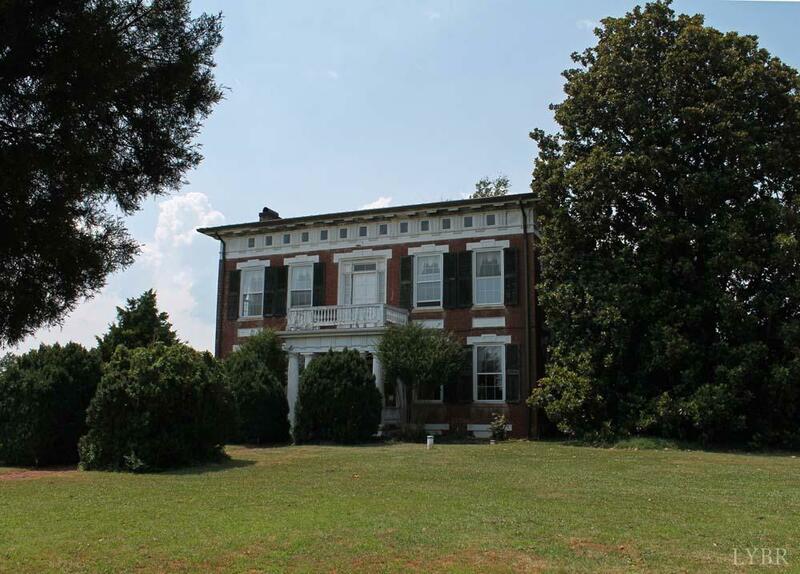 Historic home on 19+/- acres with unparalleled mountain views. Main home is 6000 sq' w/Flemish bond brickwork, 4/2.5, formal DR, double parlor, French marble fireplaces, grand entrance hall, full walk up attic w/5 rooms for storage, living. Original doors & staircases hand painted w/ feathered faux finishes. Heart pine flooring, splayed window jams, original ceiling moldings. Greek architectural exterior with Doric entablatures: triglyphs and metopes, most replaced with windows in the attic for visibility & added air flow. The Abel Nichols family cemetery. Detached cottage 2000 sq' with 2/1.5. Smokehouse outfitted as efficiency apartment. Exterior wood furnace, oil furnace in place. See where the horse races were held & R.E. Lee was gifted a horse. Three Otters has been on the National Historic Registry since 1972 & on the Virginia historic registry. Eligible for tax credits for rehabilitation to today's standards & restoring to yesterday's beauty. Recently replaced metal roof.